Published in the British Journal of Nutrition (January 2013), authors of this paper reviewed evidence on the use of probiotics for infectious diarrhoea, antibiotic-associated diarrhoea, upper respiratory tract infections (URTI), necrotising enterocolitis (NEC) and allergic disease. Probiotics refer to live, non-pathogenic microorganisms with a wide range of specific clinical, immunological and metabolic effects. The most common probiotics used currently are various strains of lactobacilli and bifidobacteria. Probiotics have been shown to shorten the duration of diarrhoea resulting from acute viral gastroenteritis, and possibly in preventing antibiotic-associated diarrhoea in healthy children. There is insufficient data on recommending the use of probiotics for preventing URTI in the paediatric population. Preliminary evidence suggests that probiotics may prevent NEC in very-low-birth-weight infants; however further studies of high quality are needed before any distinct conclusions can be drawn. There is also potentially a role for probiotics in the prevention of eczema, although the effect appears to be modest. 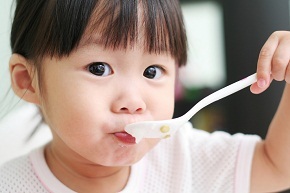 While probiotics are generally considered to be safe, there are concerns with the use of probiotics among infants and children who are immune-compromised, chronically debilitated or seriously ill with in-dwelling devices. The effects of probiotics are likely influenced by various host and environmental factors, in addition to the differences in probiotic supplement (e.g. strain, dose, viability etc). More well-designed research is required to help provide a clearer message on the type of probiotic(s) to use for a particular indication, as well as the dosage, optimal timing and duration of administration.